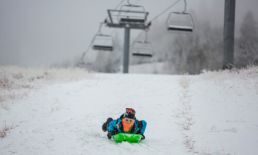 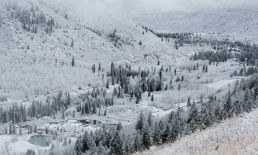 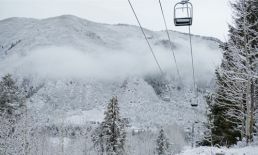 In Aspen Snowmass, winter has returned with new snowfall overnight: 7 inches (around 12cm) in the past 7 days. 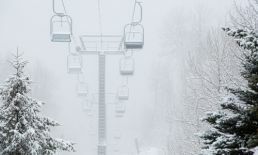 Cold temperatures have resumed and snowmaking is underway on all four mountains. 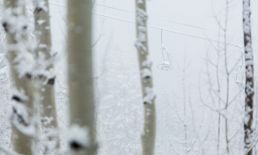 During the snow, there was even one brave hiker/skinner under the gondolas, newly wrapped in anticipation of the World Cup Finals which will be held March 15-19, 2017 (#Aspen2017), for the first time in twenty years outside Europe.